Delhi, Metro Rail News: In a bid to provide commuters with better mobile connectivity in the recently opened Pink and Magenta Lines of the Delhi Metro, mobile network boosters are being installed and the work is currently under progress, said an official of the Delhi Metro Rail Corporation (DMRC). The work is expected to be complete by February, the official added. The move follows complaints from commuters that mobile connectivity is lost while travelling on certain underground sections of the Shiv Vihar-Majlis Park (Pink Line) and Janakpuri West-Botanical Garden (Magenta Line). 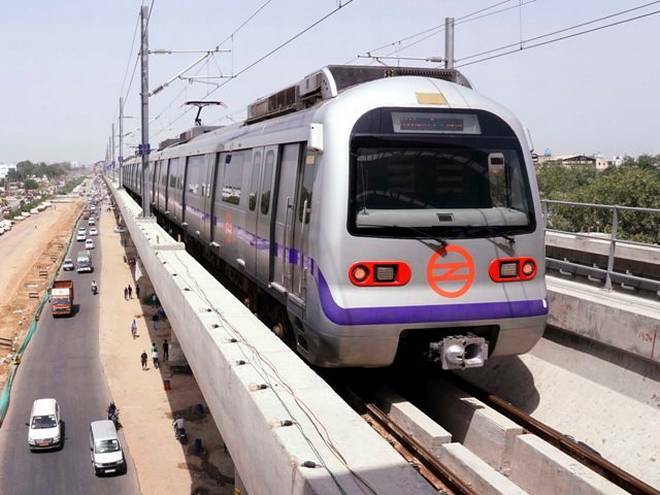 “Work is currently under progress to provide mobile connectivity on the Pink and Magenta Lines of the Delhi Metro. About 300 workers are toiling hard during non-operational hours at night for the same and the work is expected to be completed next month,” said a DMRC official. The official added that private telecom service providers have undertaken the work, for which tenders had been floated earlier.